Personalize your party promotions and make your event the talk of the town when you print Night Club Neon Invitations and send them out to your exclusive guest list in advance. 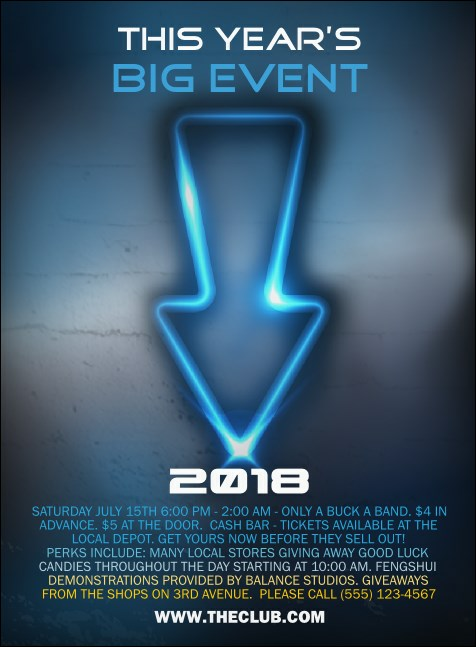 Get a fabulous turnout for your event with Invitation templates that feature a bright blue neon sign lit up and pointing to all your important info. TicketPrinting.com helps you deliver A-list advertising!